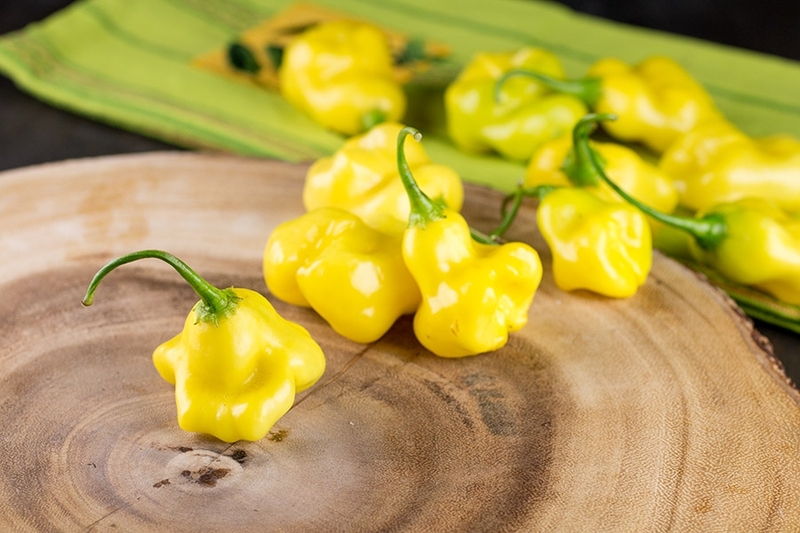 The Aji Fantasy is an aji variety that was developed over a 5 year period in Finland. It is a sweet pepper, emphasis on sweet, with a mild heat level. The peppers are highly flavorful and ideal for many dishes. The plants are quite productive. Mine exploded this year in the garden and I’ve picked several dozen already. 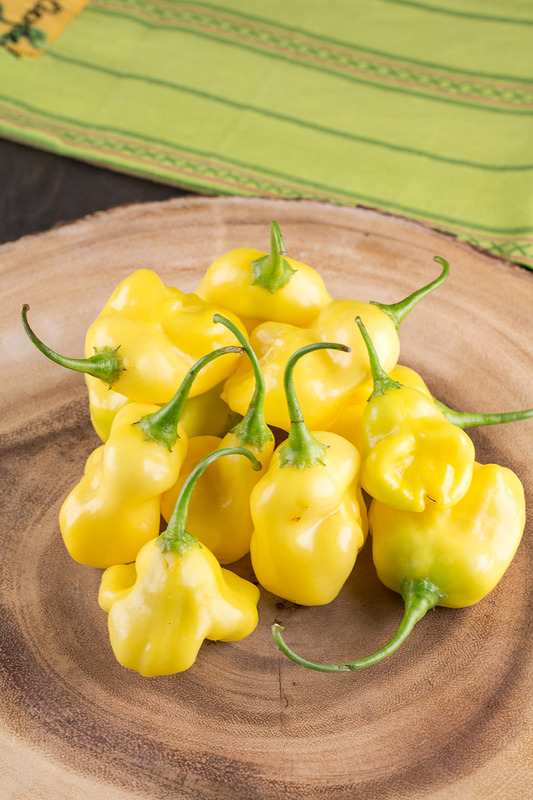 The pods are smallish, about the size of a habanero pepper, and ripen to an attractive bright yellow. They are shaped like squat little hats. An excellent pepper for cooking. A new favorite in the Chili Pepper Madness household. REPLY: Hammer, you can tell by the vibrant yellow color. — Mike from Chili Pepper Madness.